TEMPLE-KILLEEN TX -- August 29, 2015 -- ABConsulting continues to add small businesses to its growing list of successful companies. 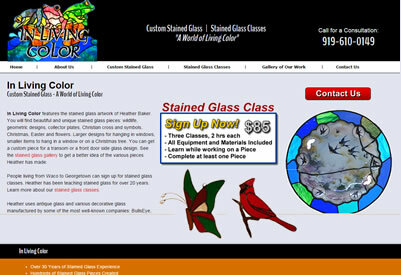 Three new Central Texas small businesses are receiving SEO services, web site design and maintenance: In Living Color Stained Glass in the Temple area; Gap Creek Ranch of the Waco area, and American Washing Company of the Temple-Killeen area. ABConsulting has a healthy list of small business customers across the U.S.A. providing affordable web site editing, SEO work and other online marketing services. "It is always good to gain Texas customers," said Al Baker, Owner of ABConsulting. "In the last two months I have added three Texas businesses, one from California and two more from North Carolina. 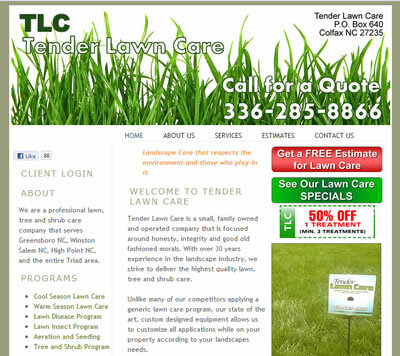 Small business owners are always looking for a web site contractor that will be quick, responsive and effective." 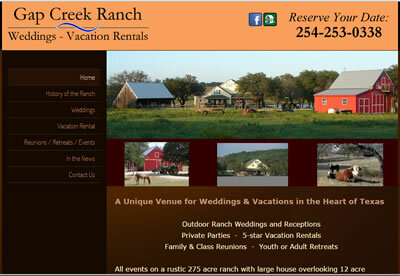 Gap Creek Ranch sits on 275 acres of beautiful farm land just west of Waco, Texas and provides a private setting for weddings, family vacations and parties. American Washing Company of the Temple-Killeen area specializes in pressure washing of vinyl siding, concrete driveways, wood decks and fencing. ABConsulting specializes in the development of an integrated online marketing strategy using good web site content, affordable SEO (search engine optimization), pay-per-click advertising management, e-mail campaigns, social media, press releases, and having a good web site customer funnel. ABConsulting has clients all over the USA including Baltimore MD, Dallas and Houston TX, Raleigh-Durham NC, Winston Salem NC and Seattle, WA. TEMPLE-KILLEEN TX, - August 07, 2014 -- ABConsulting announced today a move to central Texas and will continue to help small business owners in need of affordable SEO work and web site editing services. ABConsulting provides numerous marketing services for companies that do not field a full marketing department. 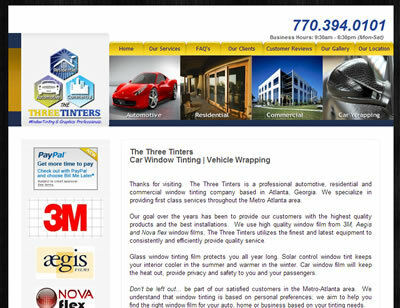 "Many small business owners and companies outsource their web site editing and maintenance," said Al Baker, Owner of ABConsulting. "I get work done quickly and I always respond to e-mails and phone calls within hours. Small business owners need an SEO-web site contractor that will be responsive - my clients are typically happy to give a reference for my work." "I am amazed at how many clients tell me of how much they have been charged by other SEO companies," continued Baker. "I can usually work within your budget and help your site gain solid Google rankings while doing your weekly or monthly web edits." RALEIGH NC, - February 16, 2013 - // 24-7pressrelease.com // -- ABConsulting announces more small business owners who are benefiting from affordable SEO work and web site editing services: A Way Out Bail Bonds of Greensboro NC, The Three Tinters Car Window Tinting of Atlanta GA, and Carolina Outdoor Scapes of Charlotte NC. "Many small business owners outsource their web site editing and maintenance," said Al Baker, Owner of ABConsulting. "I get work done quickly and I always respond to e-mails and phone calls within hours. I can usually work on your budget and can help your site gain solid Google rankings while doing your web edits." ABConsulting specializes in the development of an integrated online marketing strategy using good web site content, affordable SEO (search engine optimization), pay-per-click advertising management, e-mail campaigns, social media, press releases, and having a good web site customer funnel. ABConsulting has clients all over the USA including Baltimore MD, Richmond VA, Dallas and Houston TX, Charlotte, Raleigh, Fayetteville, Wilmington, Winston Salem, Greensboro NC, and Huntsville AL. RALEIGH NC, - May 09, 2012 - // 24-7pressrelease.com // -- ABConsulting announced three more small business owners who are benefiting from affordable SEO work and online marketing services: TLC Tender Lawn Care of the Triad, Colleen Lanier's new novel, and Nando's Painting and Housekeeping in Wilmington NC. "In addition to providing affordable SEO services for small business owners, I provide rapid customer response which is something small business owners do not typically get," said Al Baker, Owner of ABConsulting. 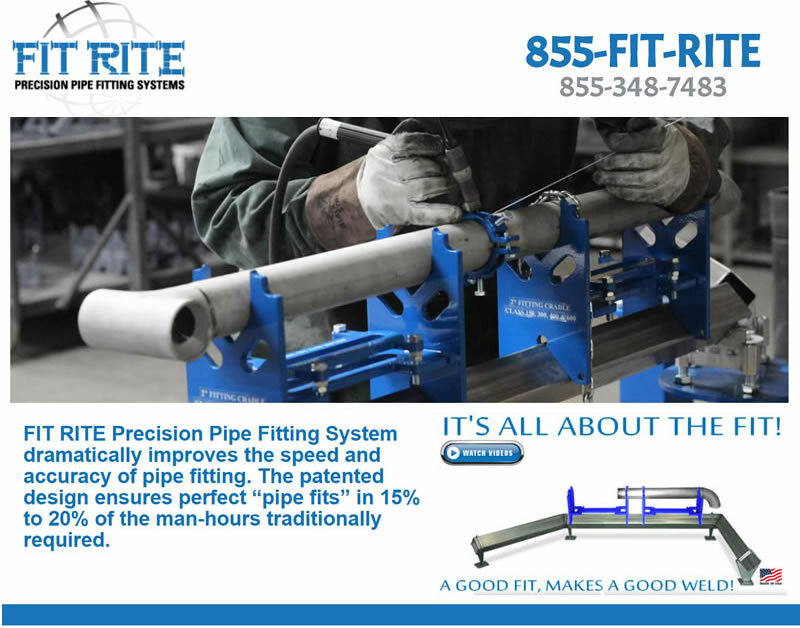 "I get their work done quickly, sometimes within 2 days, and I respond to their e-mails and/or phone calls within hours. My new clients usually express a bit of shock at how quickly I respond to their needs. It is not unusual for me to respond at night when most SEO companies are not working." 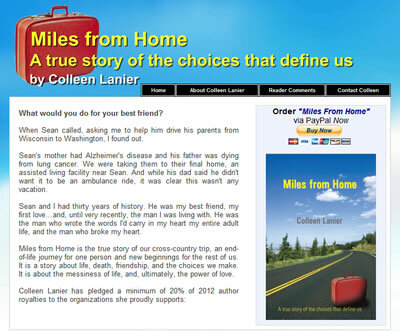 Learn more about Colleen Lanier's New Book: "Miles from Home"
ABConsulting specializes in the development of an integrated online marketing strategy using good web site content, affordable SEO (search engine optimization), pay-per-click advertising management, e-mail campaigns, social media, press releases, and having a good web site customer funnel. ABConsulting has clients all over the USA including Baltimore MD, Richmond VA, Dallas and Houston TX, Charlotte, Raleigh, Fayetteville, Wilmington and Greensboro NC, and Huntsville AL.